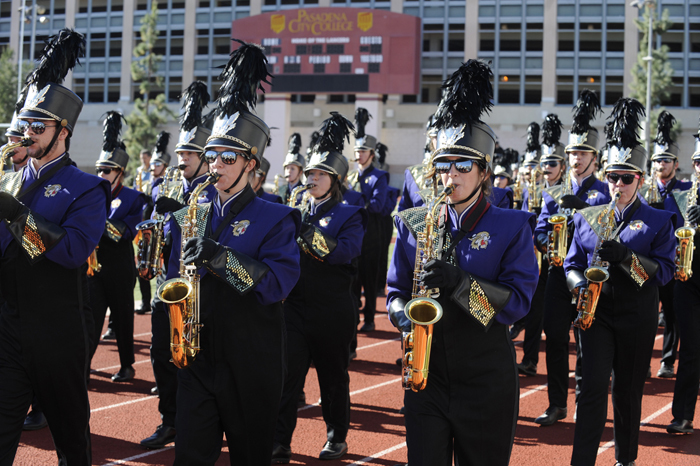 The Pride of the Mountains Marching Band received a standing ovation after performing its field show “Rock U” at the Tournament of Roses Bandfest on Dec. 30. After its performance, the band trooped the stands by marching in front of the crowd. Then back at the buses, the family of the late Dallas Cook of California and Cook’s high school band director, Gregg Gilboe, came to meet the group. The Pride of the Mountains Marching Band will perform “You” by Suburban Legends in the Rose Parade on Jan. 1 in honor of Cook, who helped write the song and was a member of Suburban Legends. After Cook’s death, the ska band held a fundraiser in Cook’s honor that benefited his high school band at Huntington Beach High School since Cook credited much of his passion for music to his experience in the marching band. WCU band directors said they selected “You” to perform in the Rose Parade because they were inspired by Cook’s life and by Suburban Legends’ tribute to him and want to send the message through their performance at the Rose Parade of a shared love for marching band from the East Coast to West Coast. A full slideshow of photos by Mark Haskett from Dec. 30 will be posted later today. Until then, here are four photos to enjoy from Bandfest. 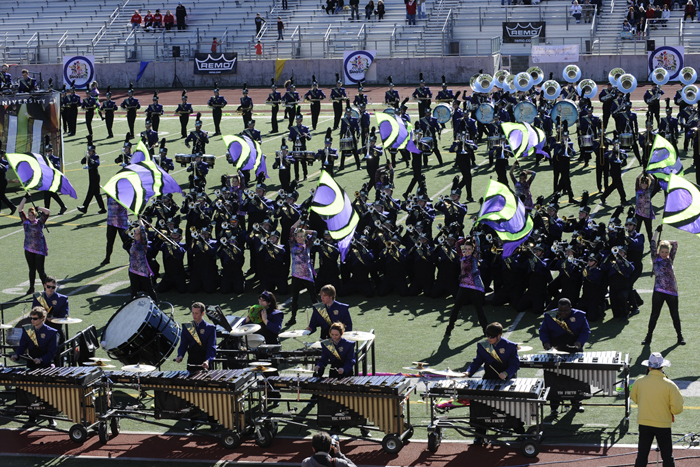 The WCU marching band performs Dec. 30 at Bandfest. After the WCU band performed "Rock U," the group "trooped the stands" by marching on the track by the crowd. 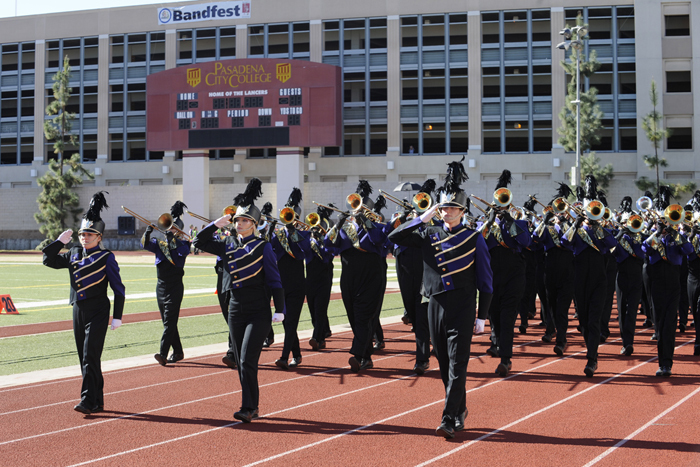 The WCU band performed at Bandfest, which was held Dec. 30 at Pasadena College. The family of the late Dallas Cook of Orange County and the family of Cook's high school band director, Gregg Gilboe from Huntington Beach High School, (pictured here with WCU band directors) attended Bandfest to see the WCU band perform. The WCU band will play the song "You' in honor of Cook, who helped write the song for the ska band Suburban Legends in which he played.